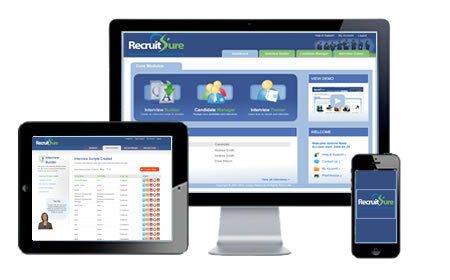 With RecruitSure you have a library of 2,000 pre-vetted fully lawful interviewer questions at your fingertips. Know the right questions to ask in any interview. Wondering what to ask in an interview? Want to avoid the risk of asking illegal questions? With RecruitSure's easy to use Question Search feature you can quickly and easily mine the database of 2,000 interviewer questions. Search by keyword, by competency, by type or by job and in seconds you will have all the questions you need. Access interview questions for a whole range of different jobs at levels including Graduate, Staff, Supervisor and Team Leader, Managers, Directors and Executives. Not only does it contain detailed technical questions it also includes 700 Competency and Behavioural questions covering over 30 different core competencies. NOTE: It is very easy to contravene some of the legislation that exists to protect job applicants. For example asking an interview question which explores the candidate's personal life in any way could be seen as discriminatory. Recent court cases have shown that employers can face large compensation bills in cases where the candidate has been seen to be discriminated against. Tell me about a time when you successfully conveyed your ideas to an individual or group so that they were able to understand and retain the message. Describe a situation you encountered recently where you had to be particularly creative in order to resolve a problem. What steps did you take and what was the outcome? Start now and in minutes you will be online accessing the right questions for your organisation. With the online database of 2,000 questions you will be confident of knowing just what to ask in any interview.